Upgrades made easy! 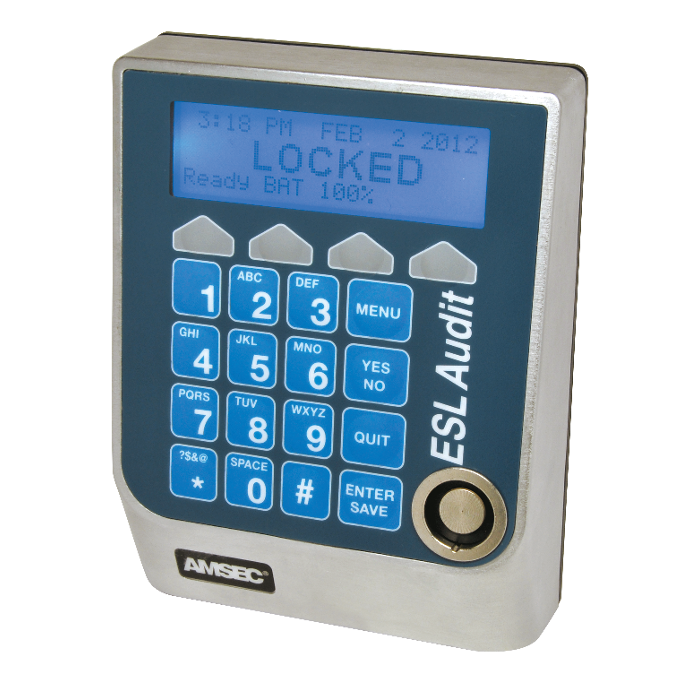 Retrofits most mechanical or electronic safe locks. Ultra-high-contrast 4 lines by 21 characters graphics display. 40 users with unique security privileges. PC application for managing lock and administration setup. Audit utility allows PC-based audit storage management, data filter and sorting. USB interface for quick and cost-effective software upgrades, audit downloads and lock administration setup. Powered by two 9-volt batteries or optional power supply. Alarm interface in power supply with connections for alarm output duress. Controls 1 or 2 doors. Safe doors can be configured in any inner/outer arrangement.